Seems like it was just yesterday that we were too excited to the fashion weeks season start and now we're already checking the Paris Fashion Week runway trends. I'm loving to see that the outfits are very feminine and elegant, so the look of the day is inspired by Jenny Packham at NYFW, this glamorous gown is perfect for fancy parties, such as weddings. The accessories keep a silver tone, bringing elegance and softness to the floral look. Wish a lovely and blessed weekend for all of us! Parece que foi ontem que estávamos super ansiosas com a temporada dos fashion weeks e agora já estamos checando as tendências da Semana de Moda de Paris. Estou amando ver que os looks estão muito femininos e elegantes, então o look do dia é inspirado no desfile da Jenny Packham em NYFW, este glamouroso vestido é perfeito para festas chiques, como casamentos. 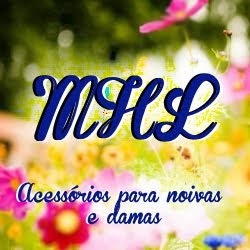 Os acessórios mantêm uma tonalidade prateada, trazendo elegância e suavidade para o look floral. Desejo um fim de semana encantador e abençoado para todas nós! This gown is so beautiful! Have a great weekend! This gown is really breathtaking! I want to wear that gown and twirl until I pass out from dizziness. What a gorgeous Cinderella-like dress. Omggg you'd feel like such a princess in this dress! Love it!! This dress is stunning and so unique! Love it! That is such a stunning little dress! That dress is fab! Love it! The dress is a dream! That dress is gorgeous! Love it! Hope you have a great weekend! Wow, this gown is stunning. wow this dress is absolutely stunning! love the colors and the print :) and yeah time goes so fast! can't believe we are now review all the runway stuff! thanks for sharing! Wow, wow, wow. This dress is just amazing! wow this is so gorgeous! i am looking forward for next year's summer trend! such a gorgeous dress! very fairy tale like. i so love it! Wow this is such a gorgeous dress! Wow, this dress is gorgeous!! You're always very kind, I wish you too a wonderful week end!! That's a beautiful dress, love it! Stunning dress... colors are dreamy but mirror effect makes it more current! This gown is absolute perfection! 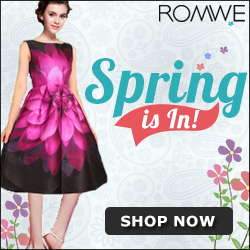 Wow such a pretty dress! Like a princess! YSL clutch is amazing choice! hi! this set is amazing! That dress is a dream! I so want! Amazing taste as always. I love the colors here! Que vestido lindo. Amei. Beijinhos! this dress really amazing and i hope this dress is best of this week.If you want see more dress for wedding of this week go here.